The majority of homeowners use garages for keeping their most precious possessions, such as cars, bicycles, household appliances, family heirlooms, lawn, sporting equipment, etc. For keeping your valuables in the garage, you should make sure the garage locks safe and secure. Garages are also frequently used by businesses for storing different valuables. If your commercial garage door isn’t secure, then your business property is not secure either. This makes it essential to have secure and working garage door locks. As the garage door is one of the most used doors in a house or business, it is very likely to become broken or damaged. In this case, you will need the help of a professional and reliable locksmith, who will repair, replace, or even install a new garage lock on your garage door. Anytime you will need a locksmith service for your garage door, you can contact us 24/7. Our professional technicians are available throughout our service area. We are always ready with a fully equipped vehicle to offer you complete garage door lock services. 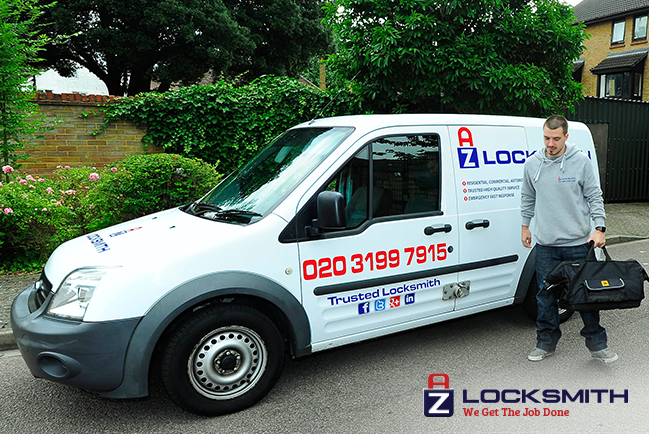 You are guaranteed a professional assistance from our experienced locksmiths in the shortest possible time after calling us. Our locksmiths are specially trained in garage door lock issues and have years of experience in this field. You can save yourself time and money and be assured that you will get an immediate help of a professional technician, especially in an emergency situation. Aside from garage door lock issues, we also offer a wide range of locksmithing services, including automotive, residential and commercial locksmithing..
Fast and professional service is guaranteed! It does not matter if you have lost the key to your garage door lock, the key has been stolen, the lock is damaged, or broken into, you can count on our 24-hour technicians to find a solution for you. They will first determine what job is needed to be done and suggest the best ways of securing your garage. Our licensed security experts use only high-quality products and parts from leading brands in the industry, that are covered by a 1-year warranty. We offer competitive prices for all your garage door lock installation, repair, or replacement needs. We also charge affordable and flat prices for all our services.